Now after a years of growth and a bit more work on the jins, it looks happy and healthy – and it has a bit more shape. 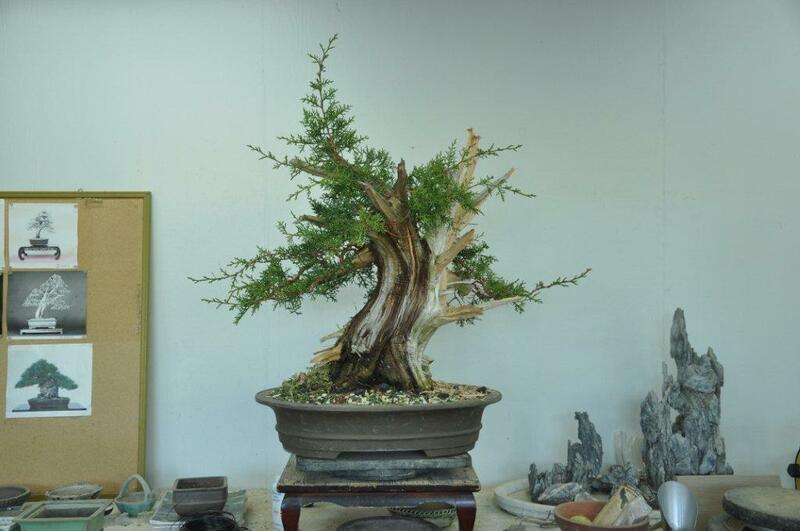 It is also easier to see where the style of this bonsai is moving. James is doing the right thing here. He is letting the young branches run. He knows he is making the structure that the final vision will rest upon. It is only after the 3rd or 4th styling and cutback that he will in the end start pinching this juniper — for refinement and final look. 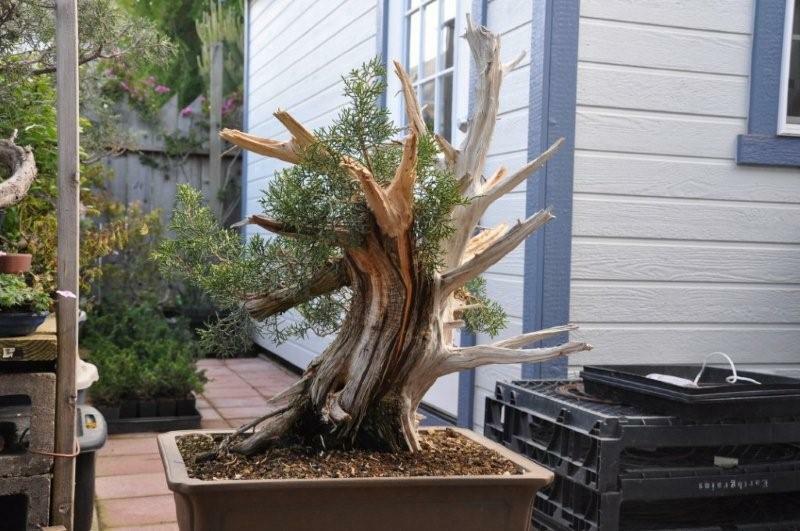 This entry was posted in Bonsai News, Seasonal Care. Bookmark the permalink.